Repaying your student loan will delay saving for retirement. It has always been difficult getting started in life: education is expensive, renting that first apartment eats a big hole in the early paycheques, food, entertainment, clothing, dating are all expensive. Now young people have an even tougher time as governments struggle to raise taxes to pay down deficits and the private sector struggles to grow and create jobs. because of the need for more education, and high accommodation costs once they do start working. retirement is often deferred indefinitely. The inability to begin saving for retirement in the early years will have far-reaching repercussions in the future for this generation. It is no secret that the earlier you begin to save, the more you will benefit from compounding and capital gains. So, when saving for retirement is postponed for as much as a decade while you repay student loans, the financial consequences at retirement can be huge. To quantify the impact of carrying student loans for the first 10 years of a working life, a case example follows using averages of earnings and student loan amounts. This hypothetical example, highlights the fact that there is a ripple effect in repaying student loans that reaches from the very beginning of a person’s working life into retirement. The burden of that student loan is felt not only at age 25, but is still being felt at age 65. The 2013 BMO Student Survey shows that about 55% of students rely on debt to finance their post-secondary education. This case example is only about the 55% with student debt, who, according to the Survey, have an average amount of $26,300 outstanding at graduation. This case example shows a 25-year-old recent graduate earning $47,942, which is the average income per person as per Statistics Canada at the end of 2014. The Ontario Ministry of Training, Colleges and Universities says the average repayment period is 9.5 years (114 months), and the current interest rate on provincial student loans is prime (currently 2.85%) plus 1%. This case example is based on repayment amortized over 9.5 years at the current rate of 3.85%. Disclaimer: The numbers used are averages and are for illustrative purposes only. There are a number of different ways of calculating so results may vary. As the chart demonstrates, assuming basic day-to-day living costs are met until the student loan is repaid, only $1,075 can be saved per year between ages 25 and 35. If this is invested at $90 per month at 5% in an RRSP (i.e., without attracting tax) the person will have accumulated $13,975 by age 35. After the debt has been paid off, assume the individual is able to add to the base of $13,975 already invested the $4,385 at a rate of $365/month at 5%. The total savings accumulated over the following 30 years (to age 65) would be $362,396. Using the same assumptions but applying them to someone who entered the work force 10 years earlier with no education debt, the savings would approximate $556,997. Certainly one surmises that earnings will increase as one gains experience. However, such gains are often offset by inflation and taxes. What the data illustrates is the impact of delayed savings on a work force that cannot get started until their mid-30s versus those who start in their mid-20s. 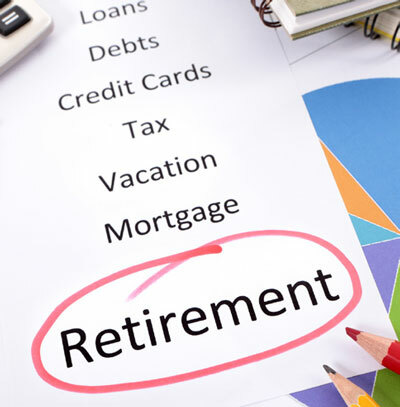 Further, it demonstrates the economic impact that will be felt in retirement years when the late-starter will have approximately $194,601 ($556,997 – $362,396) less of a retirement nest egg. Repayment of student loans defers savings. Minimize education loans by working (part-time) while still at school. offered if you were an entry-level applicant. Keep living expenses below income. Calculate how much you need to save for a reasonable retirement income. Use an amortization chart to get an idea of how much you need to save to reach your goal. Whenever possible, invest monthly to increase the earnings income. Seek tax advice from a CPA regarding the options available to reach those goals and the tax consequences of each approach. Do not borrow from your savings. Any infringement on capital will dramatically impact your retirement. It is impossible to determine future earnings, expenses and taxes with any certainty let alone what may happen with the future path of any individual’s life. Nevertheless, by working with actual numbers you can plan and revise using the information available to project your future financial prospects. Knowledge is power and with this power you can adjust your current lifestyle and reshape your financial future.